Designed for stock or directly for our client, attention to detail is apparent in every piece. With baby pink morganites, lucious rubies, vibrant emeralds and sapphires in every hue. With our talented in-house setter so many diamond styles are possible. 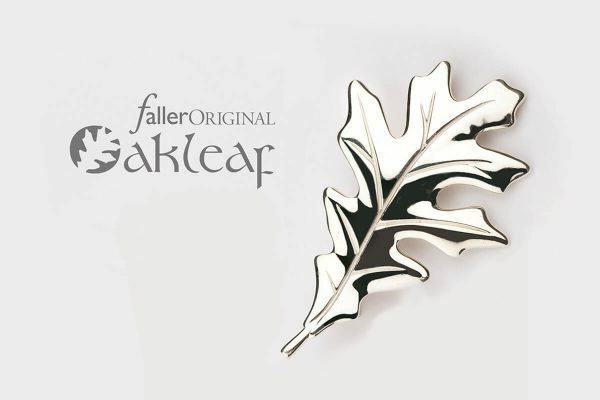 These traditional and contemporary jewellery collections are handcrafted by Faller. If you are looking for memorial jewellery our Kryptos and Prayer Cross pendants are perfect to remember the loss of a loved one. Much of the jewellery in our collections can be personalised with engraving for that extra special touch. 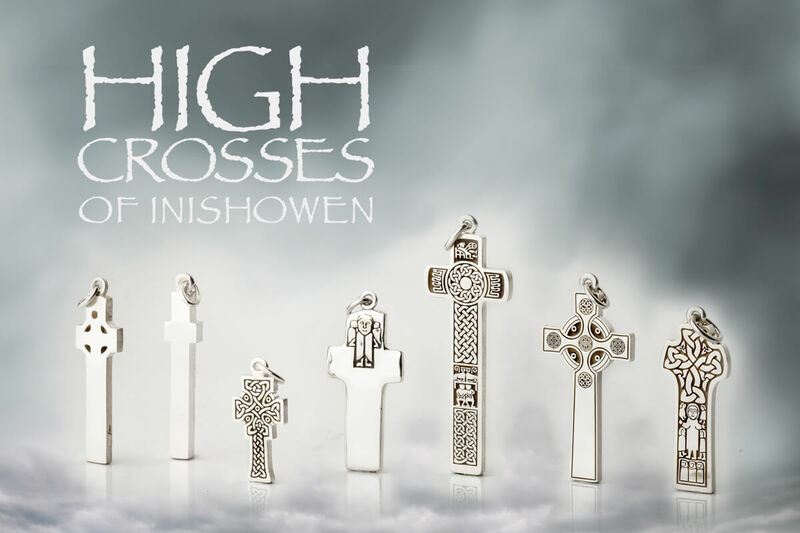 Our Irish heritage jewellery collections have been inspired by the rich history of our local area. Leaflets are supplied with each piece of jewellery describing the story of each traditional Irish Celtic jewellery collection. These pendants, earrings, rings, brooches, cufflinks and lapel pins make meaningful and thoughtful gifts for your loved one, relative or friend. Our Derry ~ Londonderry jewellery collections are a great way to express your love and pride in your home city and serve as a lovely memento when you are far from home. 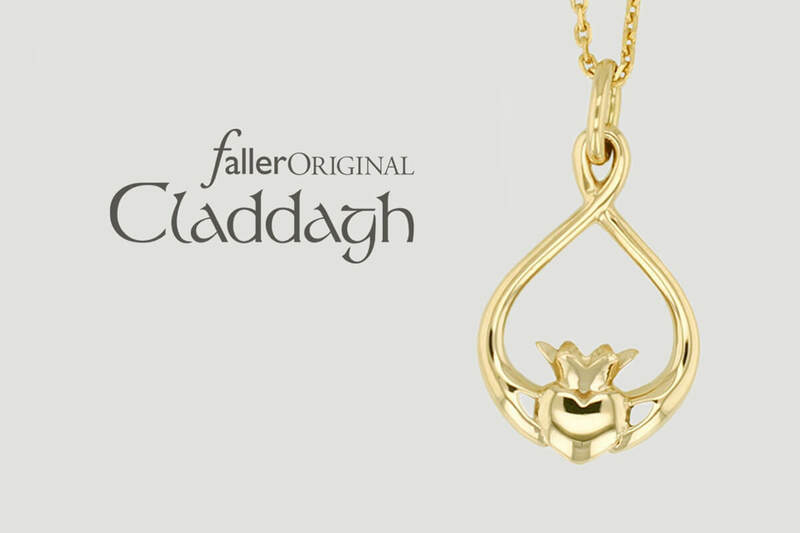 View our collections to find ideal jewellery gifts to celebrate lots of different occasions. All our jewellery gifts are unique to Faller and have ideal jewellery gifts to suit almost every occasion such as births, birthdays, weddings, anniversaries, and retirements. 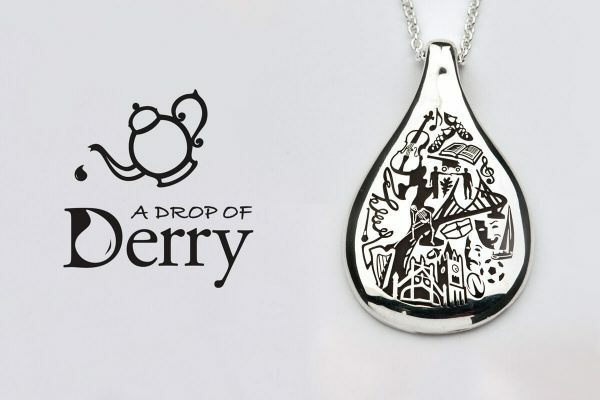 these jewellery collections are exclusively available here or in our shop in Derry / Londonderry, Northern Ireland. 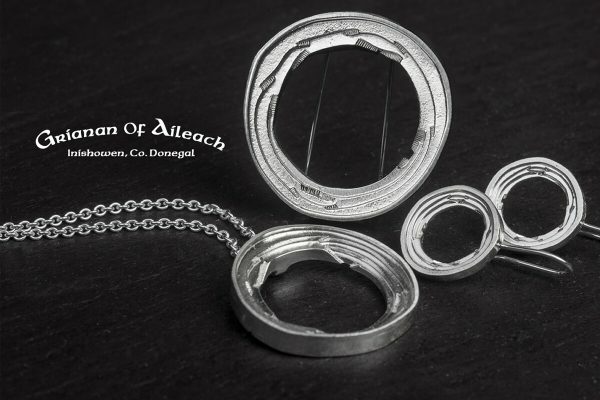 Our goldsmith’s design and create all our Faller jewellery in our workshop which is located on the two floors above the shop. 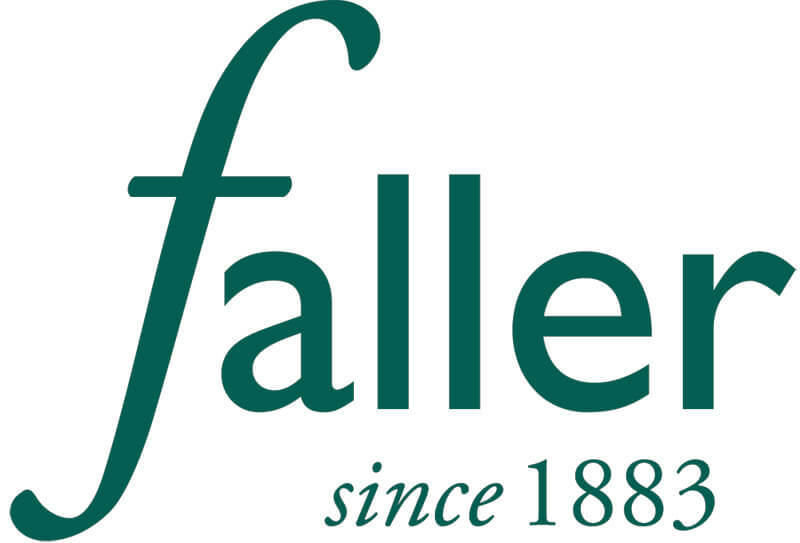 Handmade gifts exclusive to Faller!